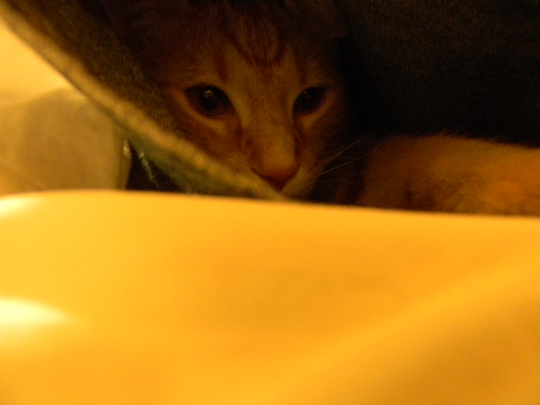 Sooooooooooo…… the other night I was getting ready for bed. 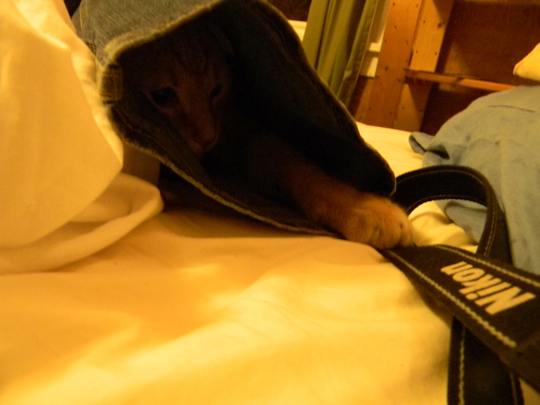 While ‘brushing my teeth’, SOMEbody decided to curl up in my discarded, tragically unhip jeans. 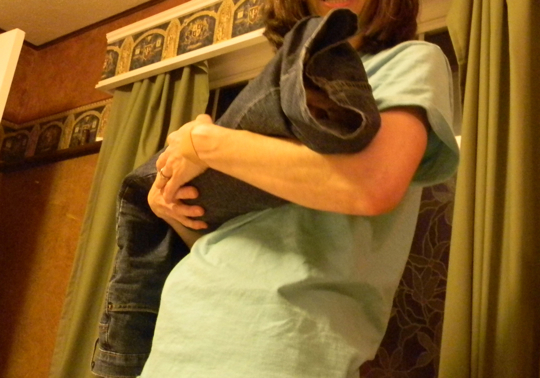 He squeezed his chunky little body all the way down the leg, getting stuck when his belleh met the knee of my bootcut. 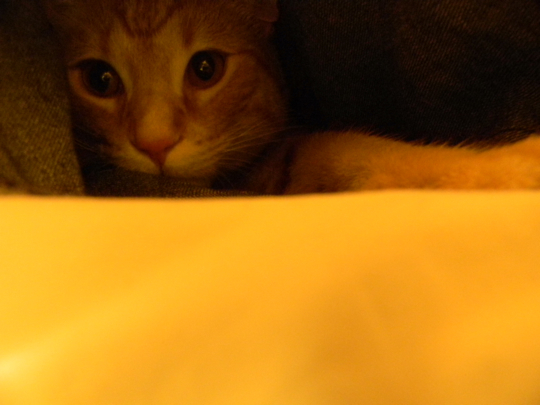 Of course, I mocked him mightily and took him in the bedroom to show Lloyd. And to document his humiliation. HAHA!! That is hilarious & oh so cute! I think the next time you go to the vet, you should take him in like this. That’s the same thing I thought! 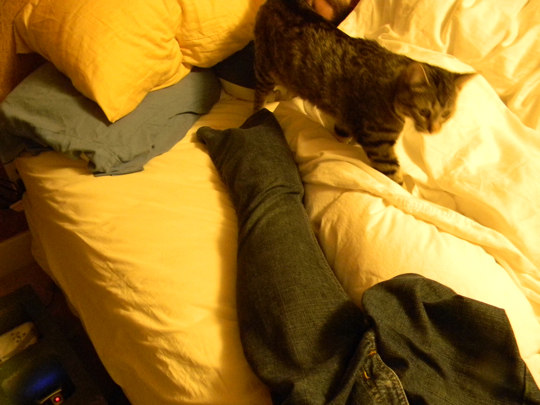 The jeans leg is an inescapable prison. You could clip nails or go to the vet or whatever. No way out.